At least two of the suspect works, as it turns out, have changed hands in the last few years with the help of Sotheby’s: a purported “Parmigianino” was auctioned in 2012 at Sotheby’s, while the purported “Hals” was sold in a 2011 private sale brokered by Sotheby’s. When authenticity concerns arose after those sales were consummated, Sotheby’s hired Orion Analytical—a specialty lab focusing on art forensics, which has since been acquired outright by Sotheby’s—to examine the two pieces. Orion’s testing indicates that both works contain modern pigments that did not exist at the time the works were purportedly created, and that they are therefore forgeries. As a result, Sotheby’s has paid the buyers who acquired them through Sotheby’s a full refund of their respective purchase prices. Having shelled out those refunds to make the buyers whole, Sotheby’s is seeking to recoup its loss. The federal lawsuit Sotheby’s filed in January in New York is against Lionel de Saint Donat-Pourrières, a collector from Luxembourg who consigned the “Parmigianino” to Sotheby’s for auction; the defendant received $672,000 of the $842,500 auction price, and has reportedly refused to return any of that money to Sotheby’s. And in last week’s U.K. filing, Sotheby’s sued the seller of the “Hals”—London art dealer Marc Weiss—to recover the $10.75 million that Weiss and his client (David Kowitz, a hedge-fund founder and art collector)—received in the 2011 private sale of the “Hals” and have refused to return. Sotheby’s insists that the “Hals” is “undoubtedly a forgery,” noting that Orion’s tests have also been reviewed by an independent scientist. But Weiss has made statements to the press questioning Sotheby’s conclusion that the work is a fake, and noting that he has not been permitted to access the work to perform any further testing. 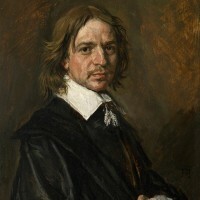 (Sotheby’s disputes that latter assertion, telling Artnet that the work has been examined by Weiss-affiliated experts, although Sotheby’s also acknowledges that Weiss sought even more testing after that.) Similarly, Mr. de Saint Donat-Pourrières, the defendant in the Parmigianino case has not formally responded to Sotheby’s complaint in court, but has told the New York Times that many experts had examined his work and had no concerns about its authenticity, and that Orion’s conclusion should not trump all of those other experts’ views. Sotheby’s will likely seek to keep both lawsuits focused on the contractual provisions governing the sales deals, and to argue it is entitled to rescission as a matter of contract interpretation. But the defendants in these cases are clearly seeking to raise broader questions about how much evidence should be needed to declare a work “fake,” and the extent to which scientific and forensic analysis should override connoisseurs’ opinions. (Such questions also formed part of the backdrop in the Knoedler forgery scandal that has been playing out in U.S. courts over the last few years.) And meanwhile, the art world continues to wait with trepidation for more information about Ruffini (who has not yet been charged with any wrongdoing) and the other potential forgeries connected with him. We’ll continue to follow these lawsuits and any other developments regarding the upheaval in the Old Master market.